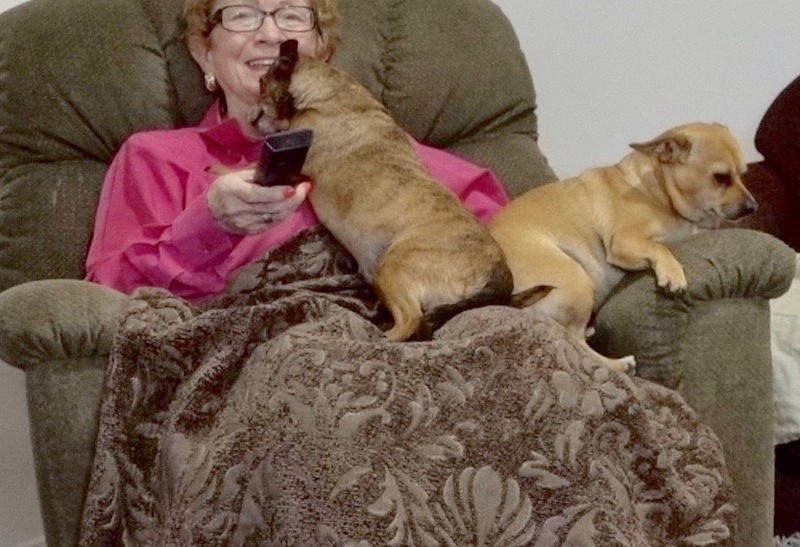 The author admits to watching TV alone but with warm bodies around her. Her companions are Kelly and Picolo. Current generations have no idea what TV watching years ago would mean. In the 1950s and 60s, most of us watched the same popular TV shows and could discuss them with friends near and far. “That new couple on American Bandstand; weren’t they cute?” “Lucy and vitameatavegamin; what a hoot!” We ALL knew the name Topo Gigio and watched Uncle Miltie in and out of dresses take hundreds of pratfalls. Ed Sullivan introduced us to Elvis and the Beatles. We had TV in common. A recent newspaper column recommended a list of shows to watch in the coming year. I’ve never heard of most of the shows, and if I chose to watch all the listed entertainment, I would be switching between the regular channels, cable channels, Netflix, Amazon and Hulu. And what’s the chance my friends would be watching the same stuff? Slim at best. I regularly watch a show called “Ray Donovan”. One friend has recorded the show and not yet watched it. Other friends have either never heard of the show or heard it was violent and passed. No one I know watches “The Profit”, a CNBC must-watch show for me. When my husband was alive, he watched TV sports in the bedroom and I watched “my” programs in the front room. Together we did watch movies we ordered on CD; those occasions were like date nights. Otherwise, we had enough TVs for each of us to watch separately…and alone. The author’s must-see program is “The Profit” starring Marcus Lemonis on CNBC. I have found one thing most of my friends do watch and that’s Home and Garden TV (HGTV). That’s interesting because the folks I know best are of a certain age and their days of moving to a new country or a new state, setting up housekeeping or rehabbing a home are probably long gone. HGTV shows feature friendly folks I know well: Drew and Jonathan, Chip and Joanna and Christina and Tarek. The house hunters or re-habbers on HGTV find places to live or perform great-looking make-overs in an hour or less and NEVER talk politics. Whoopee! Another friend and I are regular movie-goers (once a week) and we do find opportunities to discuss movies with other movie-goers. However I’ve read several articles about the demise of movie houses. Future generations may just see movies on their computers or TV screens…alone. 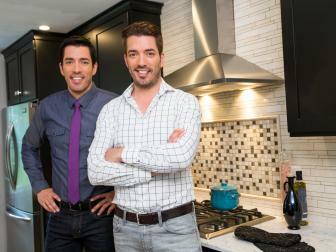 TV’s Property Brothers are stars at HGTV, a channel many of the author’s friends do watch. Drew and Jonathan Scott have a home in Las Vegas. Photo courtesy of the Property Brothers. So what is the solution to all this alone-ness? For many households, the semi-solution is a warm body next to the TV watcher in the form of a dog or cat. The animals like our warm bodies and don’t care what we are watching. Or, we leave the TV and go to local spots featuring live entertainment and among audience members we can share our reactions. But wait a minute: There is an exception to all this. It is home-town sports which sports lovers can watch and talk about. Or it is today’s world-wide activity: the Super Bowl. Advertisers pay millions to advertise on the Super Bowl, even watched by non-sports-fans — often with other people at parties, sports books, bars, Army bases, etc. Those who watch will find others who watched and can talk about the game, even across country (or countries) the next day. At least once a year we can watch TV and are not alone…just like the old days. Megan and I watch TV many nights just before we go to bed. But with the exception of local news or “Jeopardy” we rarely watch current network programming anymore. After a day spent reading manuscripts and/or working on marketing campaigns our choice-a-la-the-“little”-screen is streaming shows from past network shows. Most-watched these days would be “Criminal Minds” — not really sure what that says about the relative mental health of our psyches..